At Tore Supra, experiments with deuterium plasmas have been ongoing for the past twenty-two years. The installation consumes an average of three kilos of deuterium per year. Deuterium was born in the first minutes that followed the Big Bang, when protons and neutrons frantically paired in the one-billion-degree primordial soup that was to become the Universe. As the soup cooled slightly, deuterium nuclei then paired to become helium (two protons, two neutrons), while single protons lived on as isolated hydrogen nuclei. Primordial matter was thus separated into two unequal parts: one quarter helium; three-quarters hydrogen. The process, however, was not completely thorough; a small percentage of deuterium nuclei, also called deuterons, remained as they were—unpaired and lonely—and were later burned in stars along with hydrogen. The deuterons that survived the stellar furnaces eventually combined two-to-one to oxygen atoms and are now found in seawater in the concentration of 33 milligrams per litre. Hydrogen, deuterium and tritium are very close cousins. From a chemical point of view, they are quite similar. When it comes to physics however, their properties are very different. Extracting this deuterium from seawater is a simple and well proven industrial process. "Heavy water", or D2O (water in which deuterium substitutes for hydrogen), is first separated from regular water by chemical exchange processes, and is then submitted to electrolysis in order to obtain deuterium gas. The market for deuterium is small: it is used in electronics as a replacement for hydrogen in certain industrial processes; in biochemistry as a non-radioactive tracer; in "deuterium arc lamps" for spectroscopy; and, of course, in fusion research. Of all possible fusion reactions, the one that involves deuterium (D) and the other heavy isotope of hydrogen tritium (T) is the "easiest" to achieve in the present state of technology. Despite some downsides—such as the production of highly energetic neutrons, and the fact that tritium is a slightly radioactive element—the DT reaction will probably remain for a long time to come the only way to produce viable fusion energy. To date, only JET and the American tokamak TFTR have burned the "actual fusion fuels" (deuterium and tritium) and produced significant levels of fusion energy. Present tokamaks or stellarators all conduct their experiments with "deuterium-only" plasmas, whose behaviour in terms of confinement, heating, and general "plasma engineering" is very close to that of a DT plasma. , on the other side of the CEA fence, experiments with deuterium plasmas have been ongoing for the past twenty-two years. The installation consumes an average of 3 kilos of deuterium per year, delivered to Cadarache in the form of 50 litre tanks at a pressure of 200 bars (~ 10 cubic metres at ambient pressure). Deuterium is bought from a commercial company and costs around EUR 4,000 per kilo. 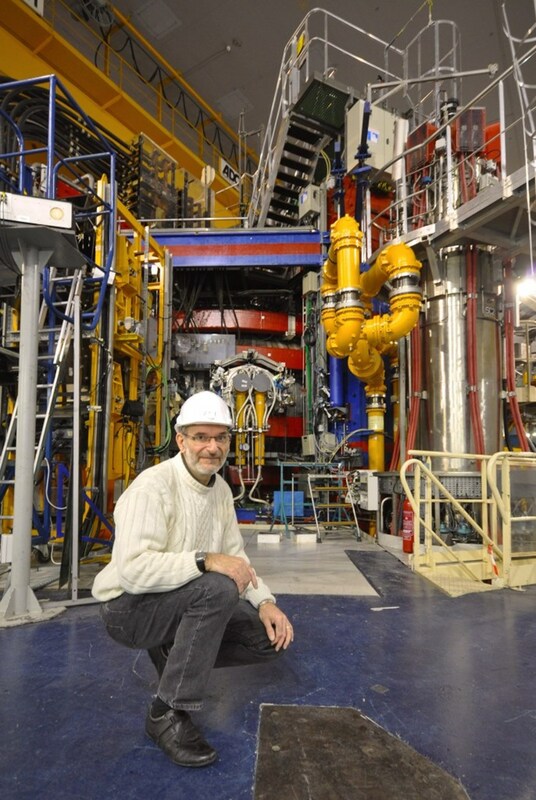 "Contrary to many countries, and contrary also to the IAEA, France considers deuterium as a nuclear material," explains François Saint-Laurent, a fusion physicist at CEA's Research Institute on Magnetic Fusion (IRFM) and one of the five Tore Supra pilots. "This implies a very strict follow-up of the quantities of deuterium that we store and use in the machine." 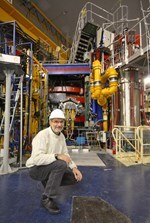 François Saint-Laurent, one of the five Tore Supra ''pilots'', keeps a meticulous count of every neutron and tritium nucleus produced by the installation. 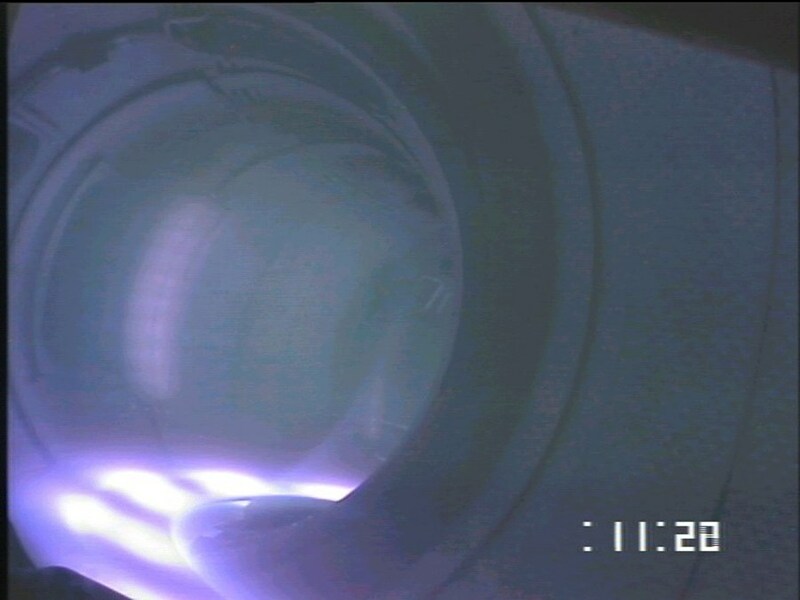 The rate of fusion reactions in a deuterium-only plasma is so low it is almost insignificant: at a given temperature, it is 1,000 to 10,000 times lower than that of a DT plasma. "Still, some infinitesimal quantities of neutrons, tritium and helium-3 are produced in installations like Tore Supra. (DD reactions present a 50/50 probability of generating either one proton and one tritium nucleus, or one neutron and one helium-3 nucleus). Consequently, François Saint-Laurent keeps a meticulous count of every neutron and tritium nucleus produced. "The activation that ensues is very low, so low in fact that we can enter the vacuum vessel a day or so after we complete a campaign." Deuterium has made fusion research possible. Combined with tritium, this primordial one-proton/one-neutron element will soon open the way to fusion energy production. Deuterium is indeed one of the Big Bang's most precious gifts.